A garage owner in South Croydon has been ordered to pay £7,000 for fly tipping waste from his repair shop. Ramiz Laci, 39, was caught in July and August last year dumping trade waste from his van into bin sheds at Duppas Court, Waddon. He pleaded guilty to two offences under the Environmental Protection Act 1990 at Croydon Magistrates’ Court on Tuesday 5 August, East London Lines reported. Trying to cut corners rarely pays off in the motor trade industry, and this is particularly evident when it comes to obtaining motor trade insurance. Whether looking for a simple road risks insurance quote or a more comprehensive and holistic combined motor trade insurance policy, firms must be honest and transparent to ensure they get a legitimate quote that will meet their needs – not disclosing the truth is not only illegal but it could see a business left out of pocket should something go wrong and requiring cover. 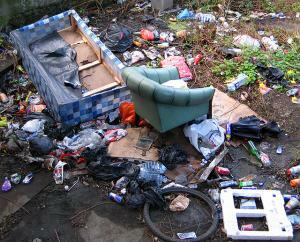 Mr Laci’s initial defence was that someone had borrowed his van when they were spotted fly tipping. When he later admitted to the offences he was fined £1,600 and ordered to pay costs of more than £5,000.